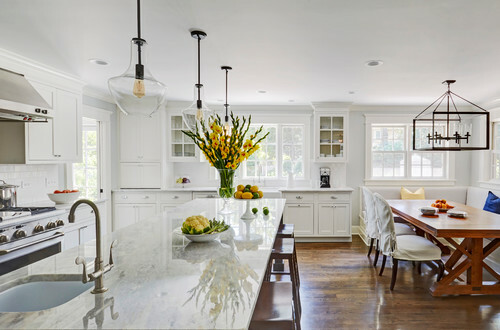 The kitchen itself is L-shaped with the refrigerator and range along one wall, and the new sink along the exterior wall with a large window overlooking the backyard. 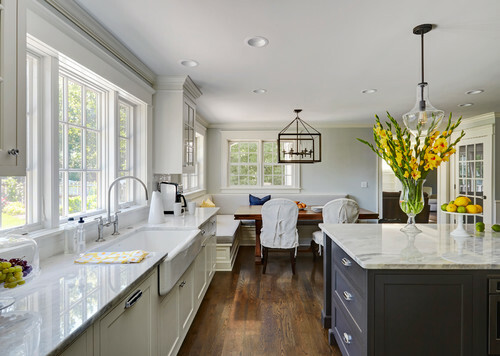 A large island, with seating for five, houses a prep sink and microwave. 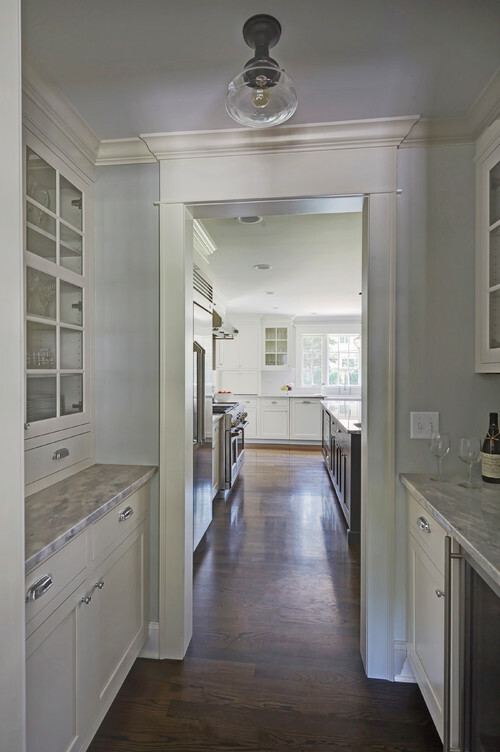 A new opening space between the kitchen and dining room includes a butler pantry/bar in one section and a large kitchen pantry in the other. Through the door to the left of the main sink is access to the new mudroom and powder room and existing attached garage. 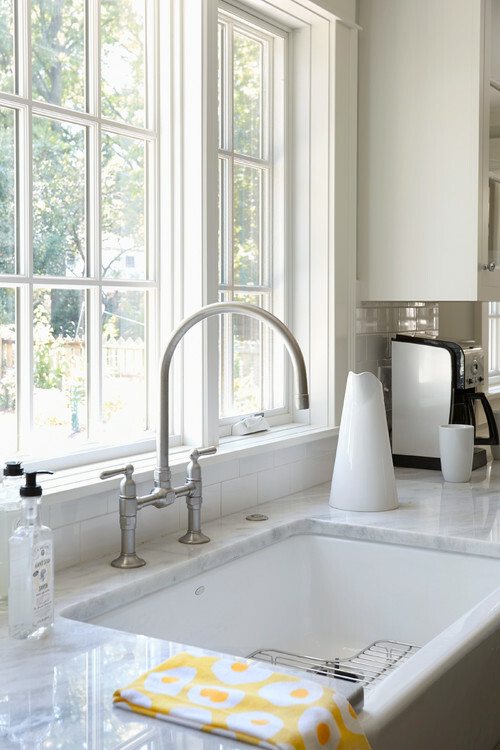 White inset cabinets, quartzite countertops, subway tile and nickel accents provide a traditional feel. 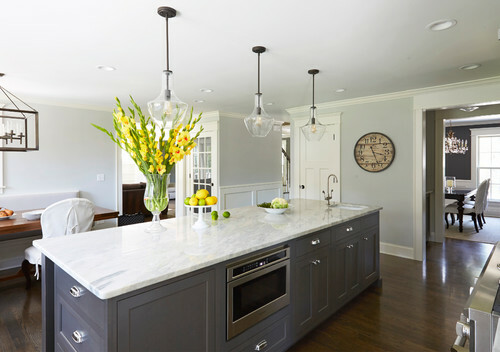 The gray island is a needed contrast to the dark wood flooring. 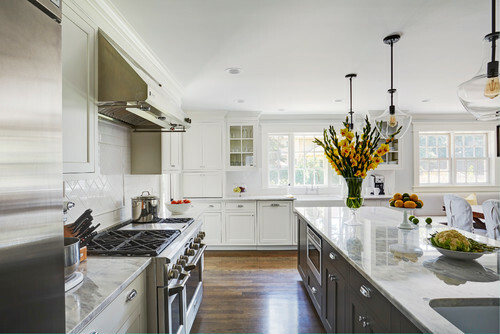 Last but not least, professional appliances provide the tools of the trade needed to make this one hardworking kitchen. 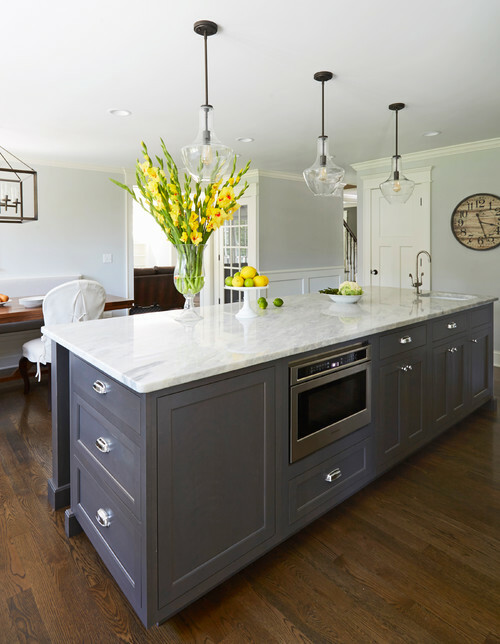 Countertop is Silverware Quartzite. Island dimensions approximately 120″ x 48″. 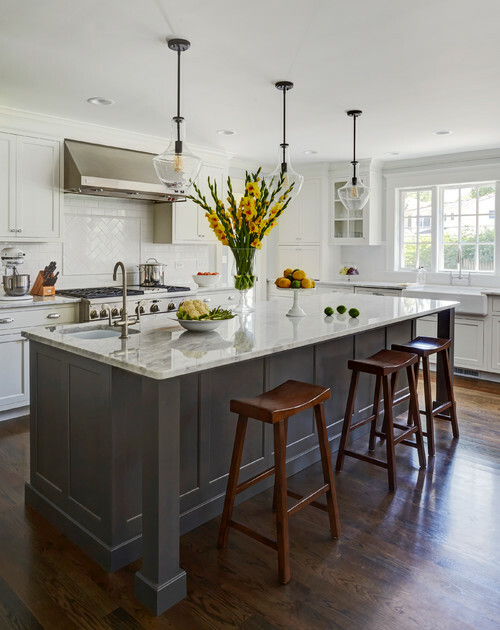 Pendants are 11′ from Kichler Everly. The floor color was selected by the homeowner, but you could try Minwax Jacobean for a similar look. A similar wall paint color is Benjamin Moore’s Gray Owl. 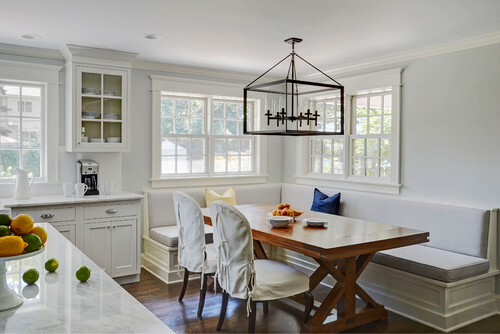 Glass doors are standard mullion doors from cabinet manufacturer Woodharbor. Tongue in groove oak flooring. Faucet : It is Kohler Parq Deck-Mount Kitchen Bridge, K-6130.